We know you have many choices when it comes to leather crafting supplies. That’s why we go the extra mile to give you the best experience in every interaction you have with us. With products of the highest quality, attentive customer service and helpful advice from our in-house experts, Weaver Leathercraft strives to continually earn your business. For quality worthy of all your leather masterpieces, our team works to bring you quality, reliable products that get the job done. From the finest leather sourced from the world’s top tanneries to a full selection of hardware, tools and other supplies designed with details you can count on, we stay focused on quality so you can stay focused on your craftsmanship. With 45 years of experience manufacturing leather products, we have in-house experts that have made us a go-to resource for leather crafters. You’ll find a wealth of helpful tips, techniques and projects on our website. Put our experience to work for you by tapping into our educational resources. If you’re experiencing a problem with a project, odds are we’ve experienced something similar in the past and can offer insight on ways to overcome your project challenges. 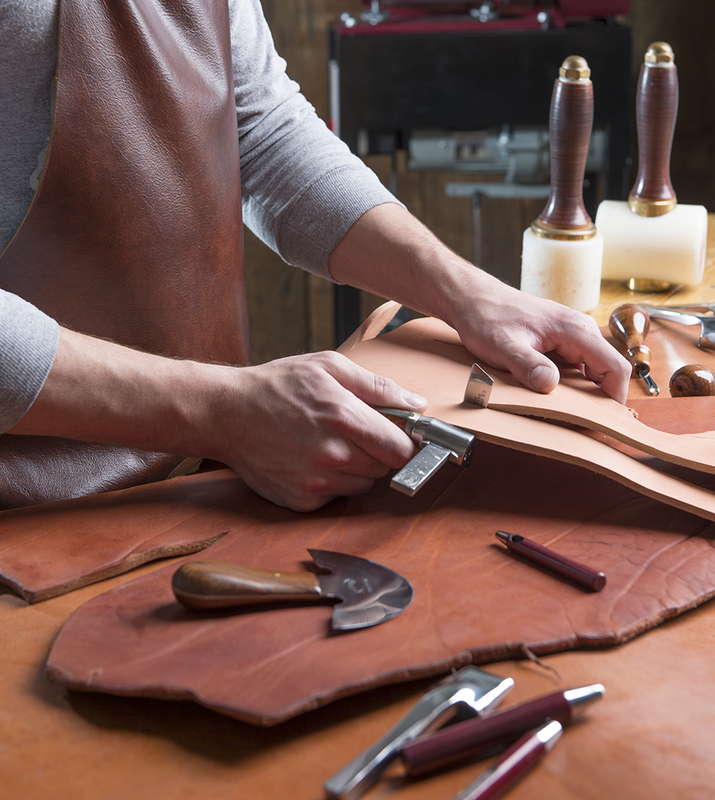 Our resident craftspeople have a deep knowledge of leather, machinery, hardware and more and are committed to transforming their experience into products and service to meet your needs. Our team works diligently to ensure every product that bears our name meets the highest quality standards and is backed by the best customer service in the business.